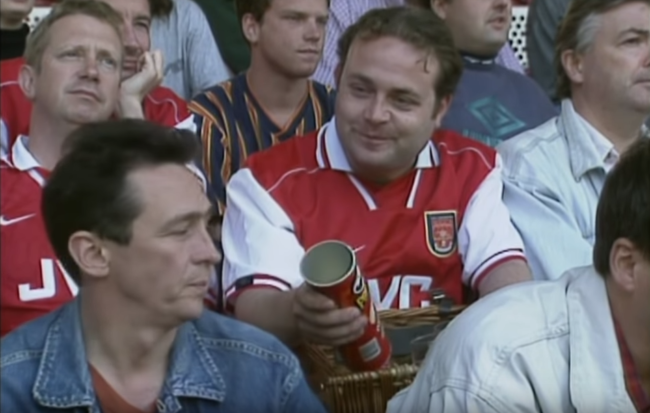 Roger Nouveau the Arsenal fan, with his wicker lunch hamper, his Pringles, his staunchly non-committal club allegiance and his awful, awful patter. The third series of the Fast Show was probably a series too far, but at least we got John Thomson expertly lampooning the ‘Johnny-Come-Lately’ football fan that Premier League clubs appear to solely cater towards these days. The sketches might be over 20 years old, but they haven’t dated a day. The quintessential football hipster, so synonymous with the mid to late 1990s once the Sky hype became fully imbedded in the UK’s psyche. “I used to support Manchester United…but now I support Arsenal” – says it all…and believe it or not, twenty years on you still hear the odd Z-lister promoting his/her new album on Soccer AM coming of with that infuriating statement. A series too far? Blasphemy! Series three gave us Dave Angel, Swiss Toni, Johnny Nice Painter and Chip Cobb the deaf stuntman.